true story: i took my laptop and a nearly-finished knitting project to bed with me yesterday, vowing that i would have the item completed before i fell asleep. 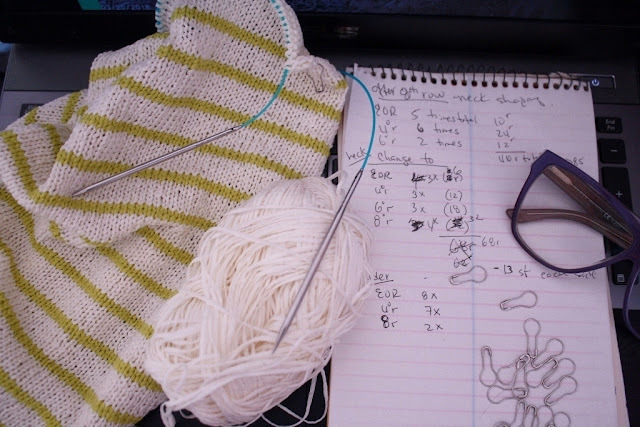 needless to say, i did not knit a single stitch in the hours that followed, which made perfect sense when you consider the list of cryptic notes i had scribbled down for finishing the thing. instead, i ended up sipping multiple cups of tea while watching a live-stream of sheep giving birth somewhere in Wales. you know... that place with all the Welsh people. this sudden burst of lunacy can only mean one thing. it is (technically, but not really) Spring, when my fancy lightly turns to thoughts of sheep. Tennyson may be rolling in his grave at that last line, but it is true. as soon as the gloom of Winter starts to lift, i start harassing farm-type folks with questions about their sheep. this (naturally) resulted in time spent re-visiting info about some of my favorite breeds, which (naturally) lead to inquiries being sent to a handful of farms regarding the purchase of a fleece for spinning. i am fairly certain most people do this sort of thing in the wee hours of the morning. virtual sheep-stalking is just a bonus activity. the current focus of my viewing is the birthing barn at St Fagans National Museum of History, which is one of the seven institutions that form Amgueddfa Cymru (the National Museum of Wales). if you are even a little bit curious about watching sheep give birth, i urge you to check out the live-stream on their lambcam or their You Tube channel (where they also save the stream footage in chunks of about six hours each). the barn was packed with heavily-pregnant ewes just a day ago, but now they appear to be down to about a dozen or so who are still waiting to give birth. their flock includes three rare breeds of sheep (more about that on their blog), and boy are they ever productive! every single birth i have witnessed so far involved either twins or triplets. the birth count was approaching two-hundred last time i checked. as my favorite animator put it, "they're almost as bad as cats". i only wish i had discovered this lambcam earlier, but i should get a couple days excitement out of it. hopefully when the birthing is all over, they will shift the focus to the new mamas and their lovely little lambs. i also have a list of other lambcams to keep an eye on in the coming weeks... which sounds about as sane to me as people who look forward to watching grown men run around a field, chasing after a ball. besides, one (wo)man's "crazy" is another (wo)man's "pathway to joy". my paternal grandfather kept a tiny flock of sheep (and a few goats) when i was very young, so i tend to hold that experience responsible for sparking my fascination with them. 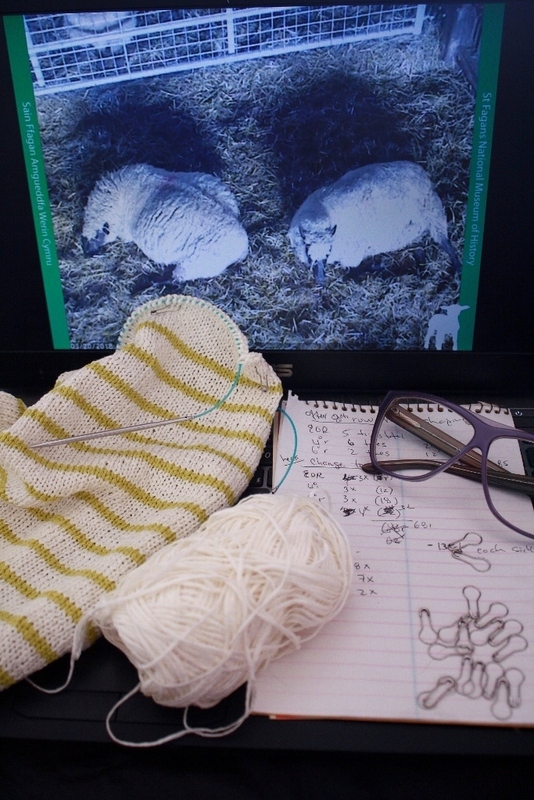 i am a committed spinner and knitter, so watching the lambcam is like watching balls of yarn multiply. the curling comparison is a given, but i don't want to spark an international incident while being a foreigner in the only country on the planet that seems to understand the point of curling. we once watched a curling competition on television. i (still) have zero idea as to what they were doing, but i went into fits of laughter whenever someone yelled "SWEEPPPP", while the other lunatics worked frantically to comply. my favorite Canadian, however, seemed more embarrassed than amused by the experience, especially as he found it necessary to keep repeating that he doesn't know a single person who curls.